Why NRIs are watching their favorite Indian TV shows online! NRIs living in foreign countries have found newer and better ways to keep in touch with their Indian roots. One of them is watching a constant stream of Indian TV shows on their Satellite TV, Internet TV or just a regular notebook. It wouldn’t be surprising if a student in Australia was more up-to-date on the happenings of Big Boss or Roadies than the average teenager in India. Here is why NRIs are turning to online portals to catch up on their favorite TV shows. Catching up on Indian TV shows is a must for NRIs who want to be tuned in with the happenings, culture and fads of Indian television. In effect, it fuels a whole consumption segment. From apparel, accessories, wedding arrangements and other knick knacks made popular by Indian TV shows and movies, NRIs want to adapt every single trend into their real lives. What better than simply hitting the play button on an online streaming website to catch up on what current India is all about? The internet is full of many legal and not-so-legit websites to catch up on Indian television shows. With free and full streaming for most shows available, NRIs of any age can access these websites, without even having a television set. Interestingly, these platforms also allow for interactivity by means of comments that viewers post. This helps NRIs to discuss and keep abreast of the latest in India, helping them bridge the time gap. Excluding remote areas, the average cost of getting an internet connection in western countries is cheaper than paying for those extra channel packages on TV. NRIs, especially students and newly settled families abroad like to save up on all the moolah they can before splashing out on the luxuries. 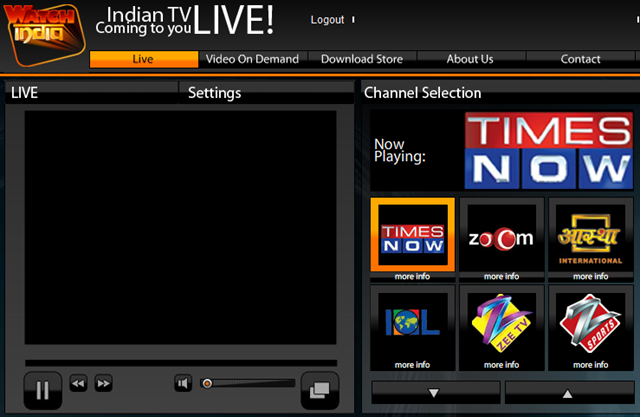 This makes watching Indian TV shows online a better option any day. Everyone has a laptop or a desktop, and getting free access to all the Indian TV shows on streaming videos makes more sense than paying those hard earned $$ to cable companies. NRIs may be able to subscribe to Indian television channels on cable TV but what they can’t do is dictate the timings of the Indian television shows. Different job timings may mean that they miss out on the very programs they have subscribed for. This is one of the reasons why NRIs in foreign countries like to tune in to websites that offer streaming videos to watch their favorite Indian TV shows. Gone are the days when NRIs used to watch Indian TV shows about ten episodes behind the Indian telecast schedule. Indian Ecommerce Startups & their travails with Ruthless Indian payment gateway providers! Now, Book your UID appointments online!